Thanks to easy to use filter (1), in the right column of the main site, you can find a product in a quick manner by defining attributes such as Brand, Size, Colour, Category. You may also specify the price range you are interested in. You may also find the menu (2) in the left side column useful in finding what you are looking for. After clicking on the manufacturer’s logo you will be transferred to the Product Catalogue of that manufacturer, with specified categories and types of products, as well as the type of offer (current offer/close-out sale). You may also use the search engine (3) located above the filter, in which you may write a word describing the product you are looking for (i.e. thongs). In order to add a product to the order, once you have opened its Product Card, select the colour, size and number you are interested in and then click "Add to the order". The column "Stock" presents information about the number of products in the warehouse. The product will be transferred to your personal shopping cart, which includes details of your order together with basic information on selected products.You may check your shopping cart content at any time. In order to do so, just click "Proceed to checkout", which is located in the right side column of every page, next to the symbol of a shopping basket (above the search engine). Next to the symbol of a shopping cart you can find also information about your order's value and number of items in it. Under the list of selected products, you will find the value of your order. Please remember that this sum does not yet include delivery costs. Delivery costs will be added in the next step. If you change your mind you may delete a product by clicking "Delete". You may also change the number of ordered products (if they are available in the warehouse). 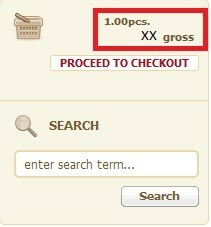 In order to do so in the column "Number" specify how many items you wish to order, and then click 'Count". Adding a product to the order is not tantamount to completing the order and does not have any financial consequences. To finish shopping and finalize transaction click "Complete the order". 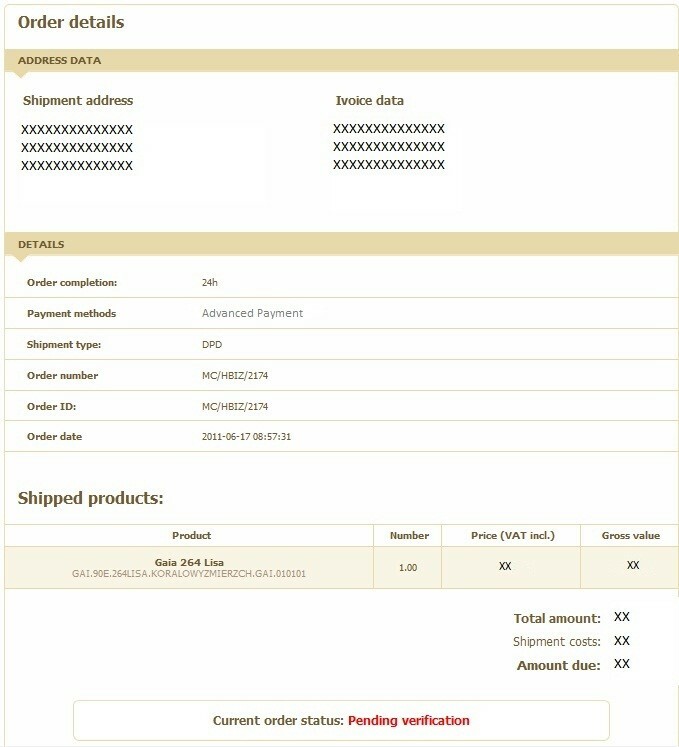 Order summary contains your company's information, delivery address and ordered products' details. In this step costs of delivery are also added. We ship with DPD parcel service provider and accept advance payment. 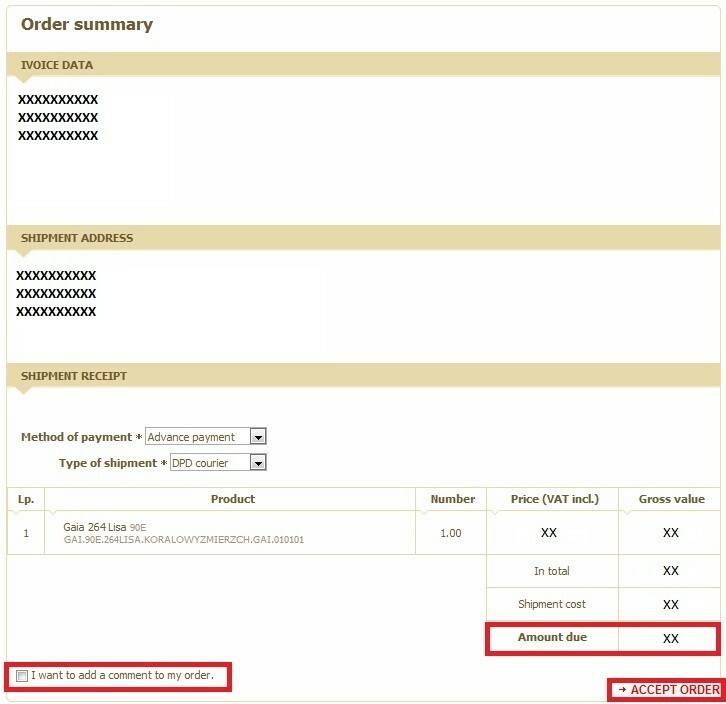 "Amount due" shows the total value of the order (together with the delivery costs). If you wish to add a comment to your order check the box next to "I want to add a comment to my order". A special box will appear in which you can write additional information to your order. To finish placing your order click 'Accept the order". To see details of placed orders and check their status go to "Order history" in the User Menu, located in the left side column at the top of the site.